1. 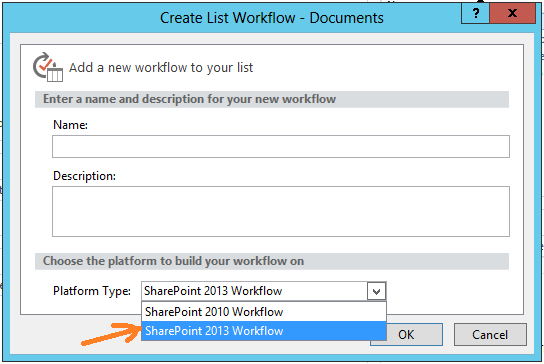 Make sure Workflow Manager 1.0 for SharePoint 2013 server is installed and configured properly. replace $yourUrl with your site collection URL. In my case, I was getting message the feature was already activated at that site. 4. 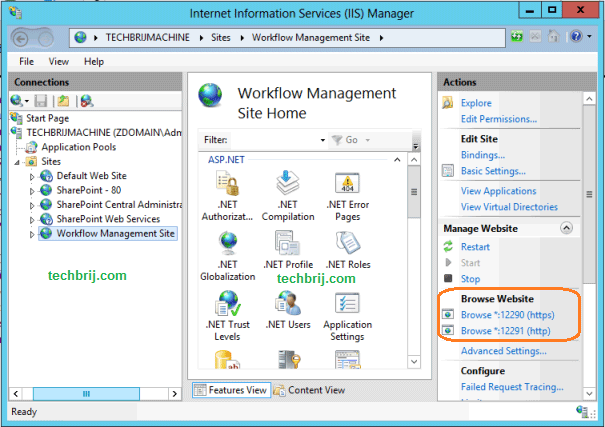 Open IIS, Verify “Workflow Management Site” is working fine. For testing, You can open following in your browser. Change port number if you want use HTTP(12291) or HTTPS(12290) to communicate between Workflow Manager and SharePoint Server 2013. 6. Open Sharepoint Designer 2013 and enjoy Sharepoint 2013 Workflow. Hope, It saves your time. I have this error (The option for the Sharepoint 2013 workflow platform is not available because the workflow service is not configured on the server). – I configured WF Manager srv on another server than Sharepoint for production environment. – I don’t have the service (Workflow Service Application Proxy) in my Sharepoint server. – I installed WF Client 1.0 on SP server. Question : How can I check if my WF client is configured properly? Any idea why the Register-SPWorkflowService cmdlet would return a command not found error? Nice article, very informative. Thank you Brij for providing this practical approach for solving queries.